The new magazine will feature content about the channel’s shows including Adventure Time, The Amazing World of Gumball, Ben 10 and more. Cartoon Network has partnered with Panini to launch a new Cartoon Network magazine. The monthly title, targeted at children aged six to ten, hits the shelves in the UK on the 15th October, spreading to further EMEA territories during 2016. The new Cartoon Network Magazine will include four free gifts and feature entertaining content about the channel’s favourite shows including Adventure Time, The Amazing World of Gumball, Ben 10, Regular Show, Uncle Grandpa, Clarence and Steven Universe. Each 36-page issue will include puzzles, stories and activities devoted to the irreverent humour and fun of Cartoon Network. 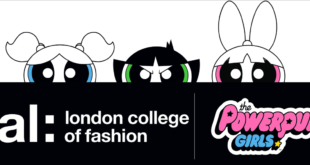 “We know that Cartoon Network fans just love our content from TV ratings and website traffic, the level of interaction with our shows online and in the mobile space is extraordinary,” said Johanne Broadfield, vice president, Cartoon Network Enterprises EMEA.